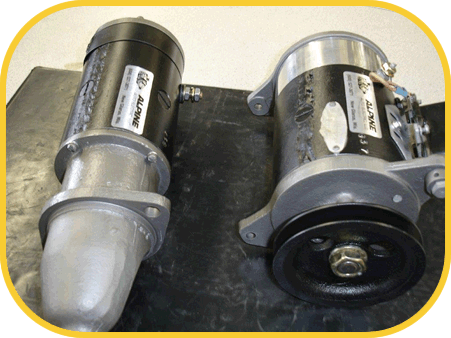 The final assembled of a customers rebuilt alternator, generator or starter is completed by the same experienced technician that began the rebuilding. Cover bands, new terminal hardware and final protective coatings are applied along with an Alpine Auto Electric label. The appearance of your newly rebuilt alternator, generator or starter is as important to us as the care we take in the building process. Proper final assembly procedures are critical for a long lasting dependable Starter or Alternator.